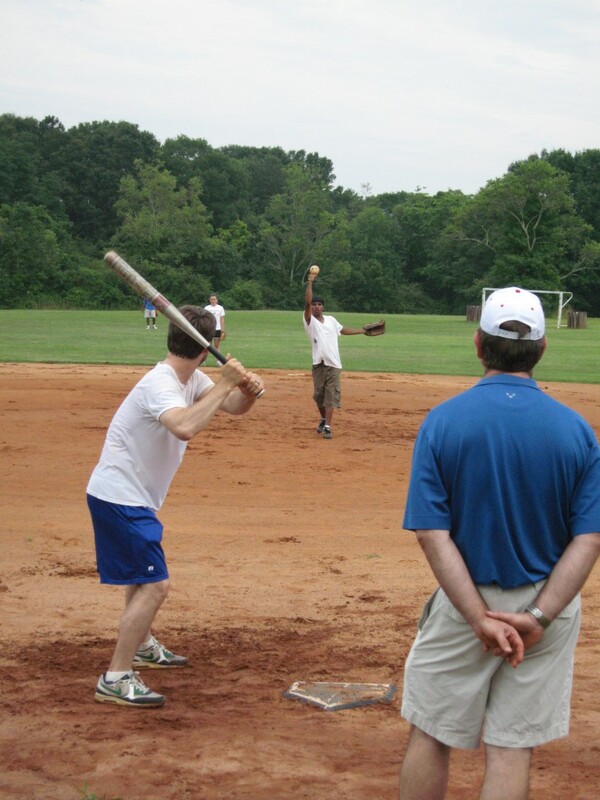 From June 6 – August 8 (with July 4th excluded), each Thursday evening children, teenagers, and families of UMCH gather with staff, family, and volunteers for our Twilight Softball game and meal. Volunteers (of all ages) arrive at 5:30 pm to set up and prepare for our meal. 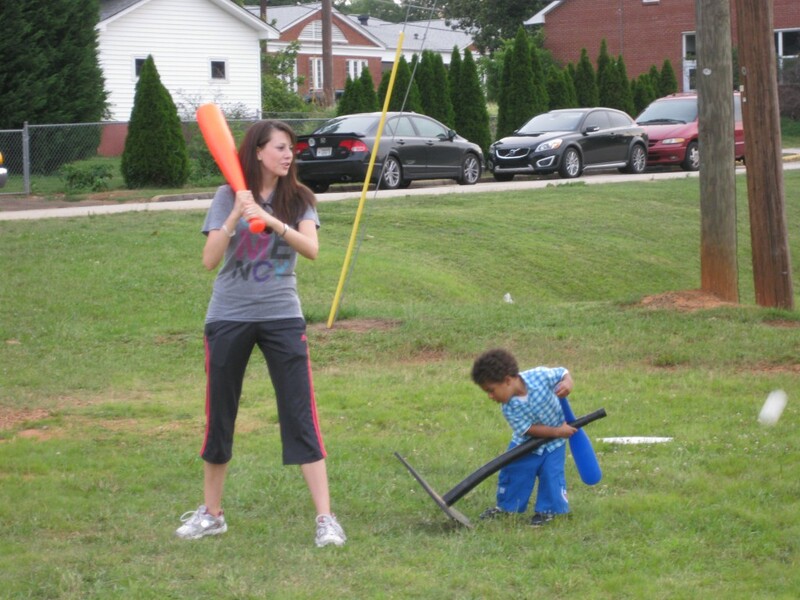 At 6 pm, families, children, and staff arrive for an evening of softball, food, and laughter. We need volunteers to provide the meal to feed approximately 75 people. We have a grill and large coolers to hold drinks. Individuals, large, and small groups of all ages are welcome to serve in this volunteer opportunity; however, only ages 10 and up can join in the softball game. We can’t wait to join in Christian community with YOU! Contact Lindsay Geist (404-327-5878) to learn more. Our Twilight League Softball is a 40-year tradition designed to build community on campus with staff, families, individuals, and volunteers. It is the Kingdom of God coming together to enjoy fresh air, good food, exercise, and teamwork. We invite parents and children in our Family Housing program, young adults ages 17-21 in our Independent Living Program, participants in our off campus Transitional Living Program, families from our Jesse’s House after school and summer camp program, teenage mothers and their children from our Nurturing Connections Program, staff, and YOU to join together in a fun, friendly game of softball at 6 pm then we eat at 7 pm all together. Volunteers arrive at the United Methodist Children’s Home campus, 500 S. Columbia Drive, Decatur GA 30030. When entering the campus in front of the main building, follow the roundabout driveway to the left and continue to the back of the building and then make a left towards the recreation building and field. You will see the softball field to the right of the pool. Please arrive by 5:30 pm when we will have a brief overview session for all volunteers. At this time we’ll give instructions for the evening, explain more about the UMCH community, and answer questions. We will then divide tasks to begin preparing the meal while part of the group joins in the softball game. After the softball game and meal, we will clean up. Volunteers should be finished no later than 8:30 pm. Casual, comfortable clothing for warm weather and to play softball! An expectation for an evening in which God will use us to build a Grace-filled community on our campus. We need you to bring some sort of main dish, sides, dessert, and drinks to feed approximately 75 people. 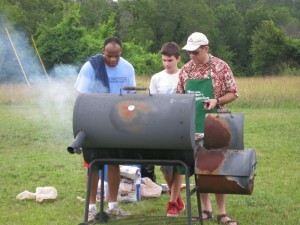 We will provide the paper goods, utensils, coolers, and grill. Feel free to cook onsite or cater, whichever works better for your group. Also, it’s a good idea not to bring personal belongings with you so that they won’t get in the way. Lindsay can’t wait to hear from you and schedule the Thursday when y’all would love to join in community softball with us! This is an ALL ages opportunity to fellowship and serve. Six Churches, One Volunteer Day!